~Pre-register your team of 3! ~There will be a separate category for teams with 1 or more fixed rider. The course is structured so that these teams will be able to finish the race in approx. the same time as the geared teams, but will be ranked in their own finishing order. ~A smartphone, or map of the Greater Victoria Area will come in handy for some racers. Remember, this is an alleycat-style race, and half the battle is choosing a good route. ~If you're interested in participating, but don't have a team yet, make a request on the comments for this post, or let me know. There are slots to be filled! ~When we say "Gentlemen's Racing", we really mean that we'd love to have multiple women's and mixed teams out there killing it. ~It'll be hard and long, but not too hard and long. 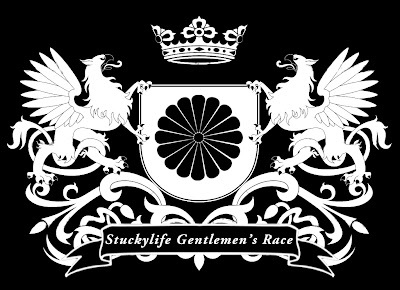 I'd like to extend a word of thanks to the fine people at the Vancouver chapter of Gentlemen's Racing, who have been reppin our event all over the interweb. Please check out their Tumblr, and twit their tweeter or hash their tag, or whatever twitter people do.